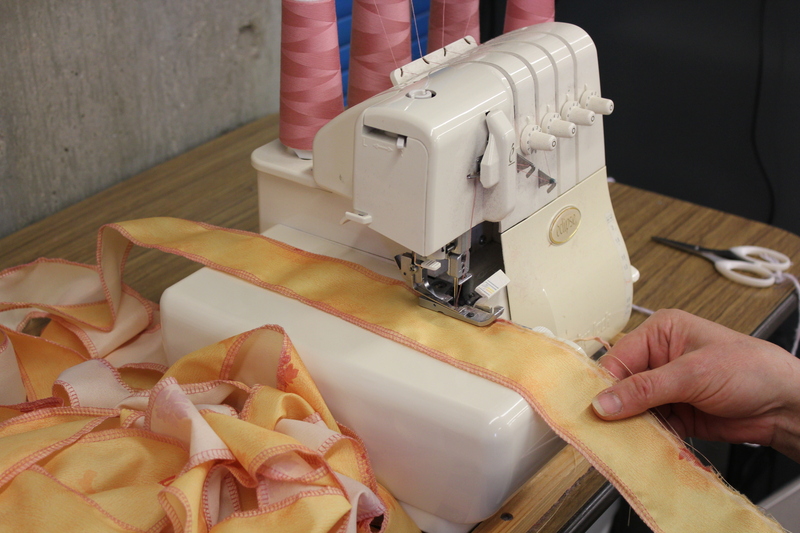 As you are reading these words, the costumes are being made in the costume shop at IU Opera Theater, in the Musical Arts Center building. 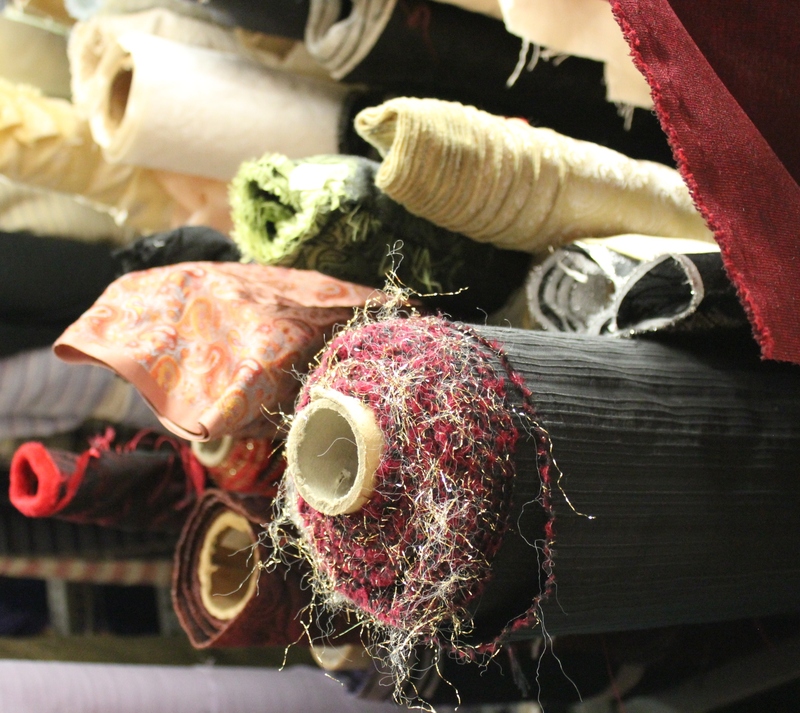 The costume shop is normally full of colors and textures already. 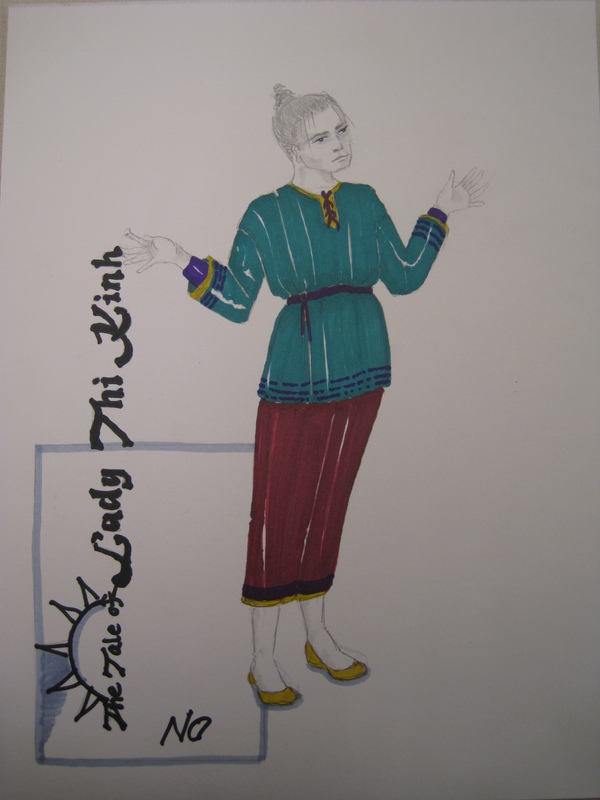 Right now it is more so, as preparation is going on for The Tale of Lady Thị Kính premiere on February 7, 8, 14, 15 of 2014. 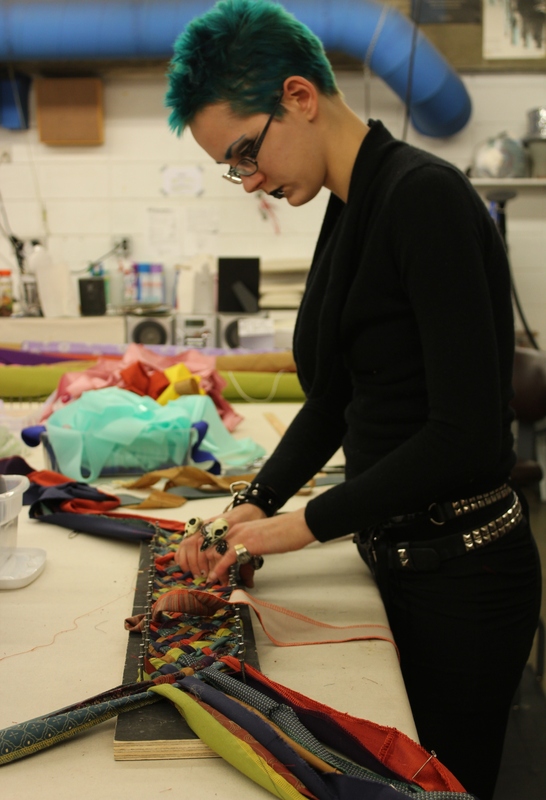 Different pieces of the garments are being made such as the belts. The fitting will be done soon. 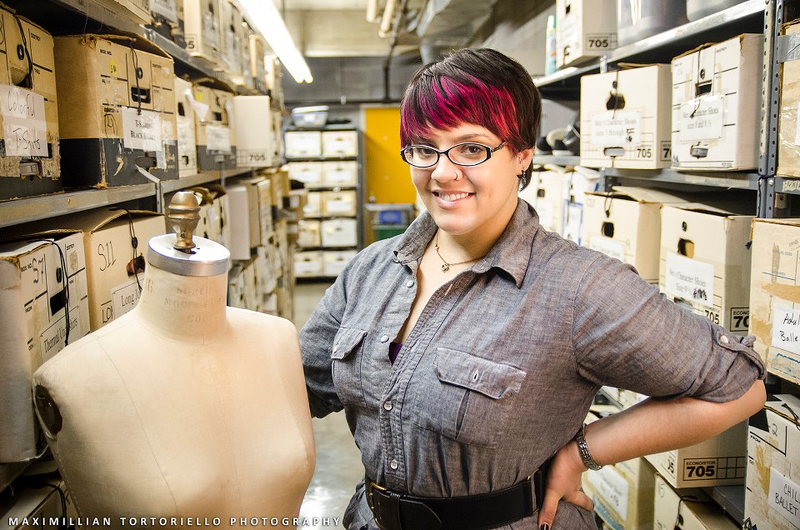 Part of the general costumes for the thirty-eight members of the chorus are purchased and then the costume specialists at IU Opera Theater will layer them with various extra hand-made pieces to achieve the finished look of the garments as designed. All the costumes for the two casts playing the main characters will be revealed soon. 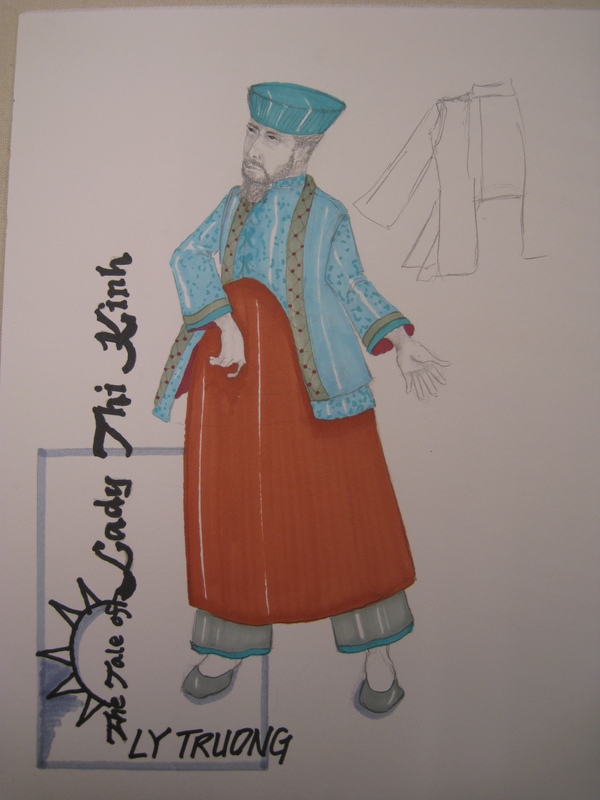 To have some sense of the costumes, read my earlier interview with costume designer Linda Pisano. Now to join the excitement I experience these days every time I enter the costume shop, cheer the costume specialists who are building the garments right now and pay attention to what they have to share. Lany Tortoriello (or Magdalena Tortoriello), Wardrobe Supervisor: There are a lot of things that we already know by looking at the drawings. We know that some of them are wearing shirts, some robes. But there are some specific things that we need to sit down and talk about before the cutting and sewing. Photo courtesy of Lany Tortoriello. 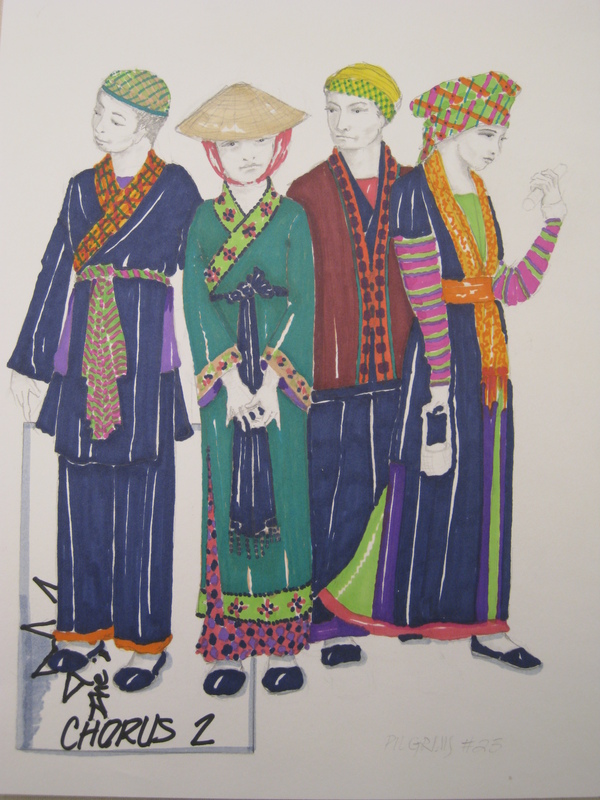 I have never worked with Vietnamese costumes or colors. And we do not always get super bright vibrant colors so I am excited about that. This is something new in many ways. It is not very detailed heavy like the Victorian area clothing with all the bubble velvet folding. But there are other challenges that we have such as the many layers. So I am very excited to get started. 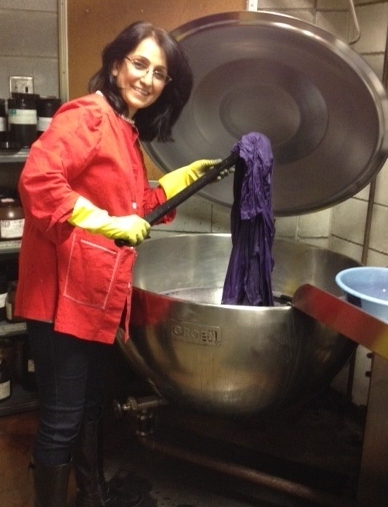 Soraya Noorzad in the process of dying the white fabrics and garments. Photo courtesy of Soraya Noorzad. Soraya Noorzad, Project Manager: I have had lots of experience working with Linda and she always has interesting designs. For this show, I especially like the colors of the costumes. 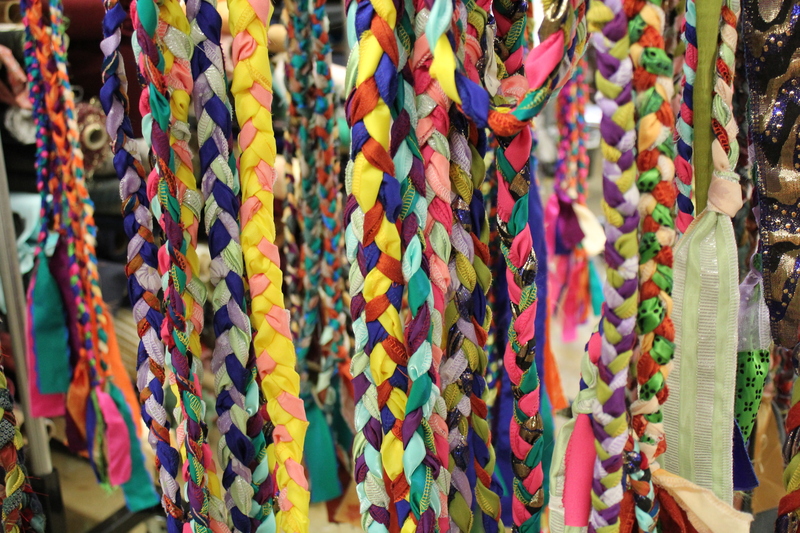 They will involve a lot of the detailed trims. 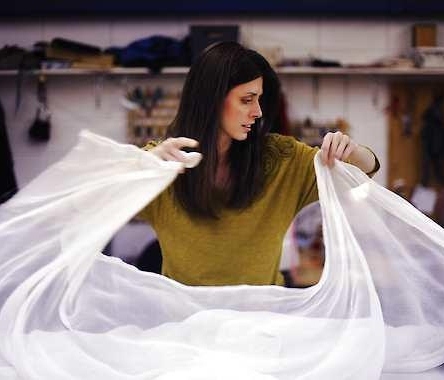 Most of the costumes, including fabrics and finished garment pieces that we construct, as well as the pieces we purchase for this show are dyed in the shop. This is a large portion of this particular production and the colors of the costumes is what makes this different from other shows. We are very excited about the whole project. Dana Tzvetkov, Shop Manager: A lot of the chorus costumes [generic white shirts, pants, robes] will be purchased. 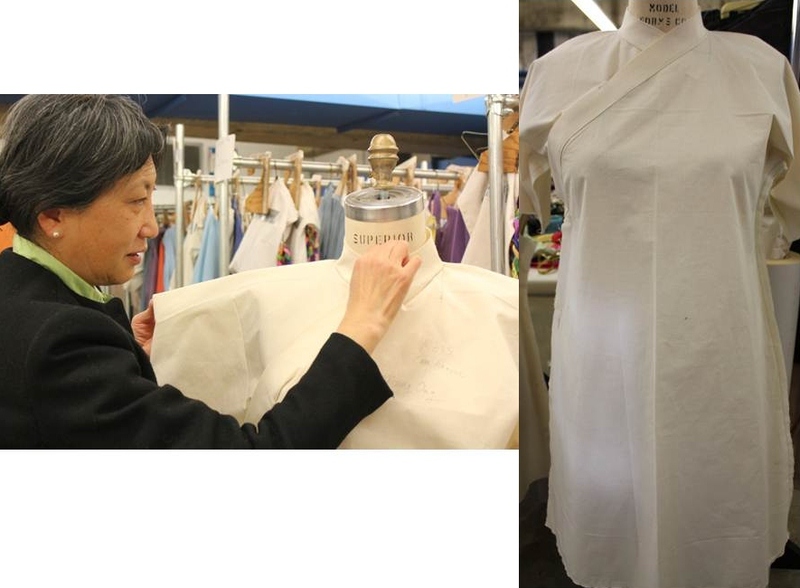 Once we receive that order, we’ll start the fitting for the performers. We are going to use several different kinds of garment pieces and then we are layering them, changing them from performer to performer. So each piece and trim will be individually dyed. Photo courtesy of Dana Tzvetkov. I have never done anything that looks like this. 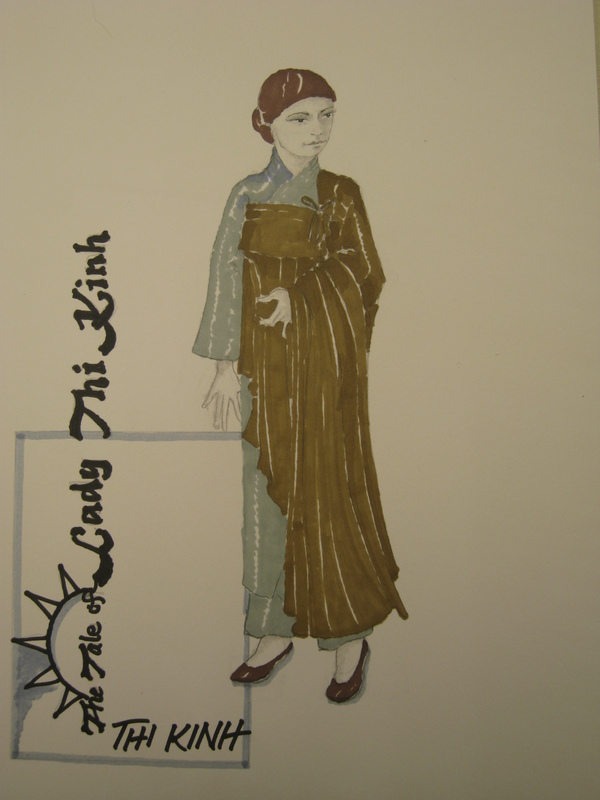 The closest ethnic work that I have worked on and am familiar with is Mikado or Madam Butterfly that has a very different look and the color scheme is very subdued. 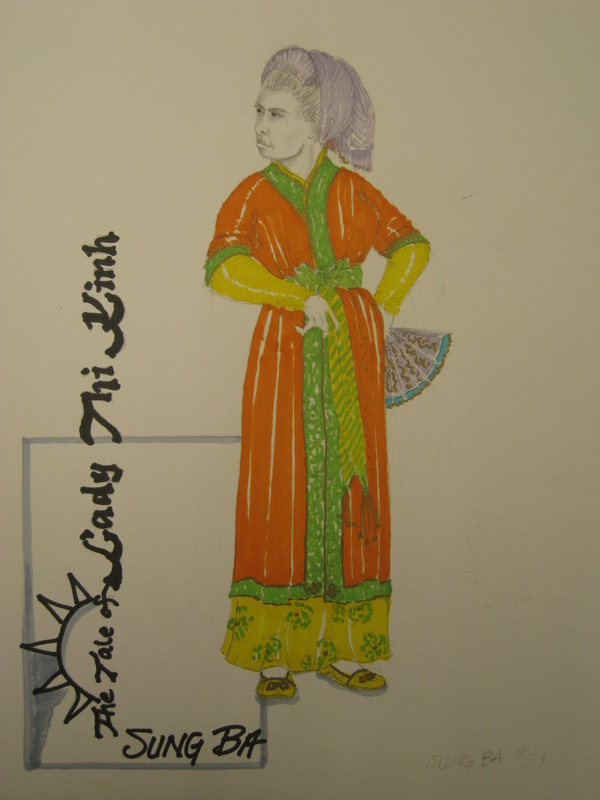 I am really excited about the colors in this production, The Tale of Lady Thị Kính – beautiful, vibrant, live colors that we don’t get to experience very much in opera. But also the simplicity of the design. 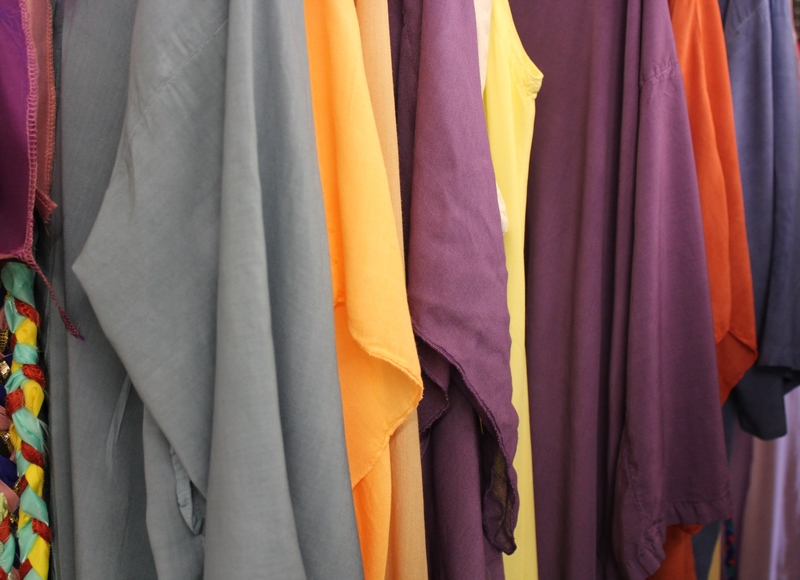 The texture and colors of the fabric combined with that simplicity in the design are really exciting. Now that you have read a little, I am going to reveal some sketches. 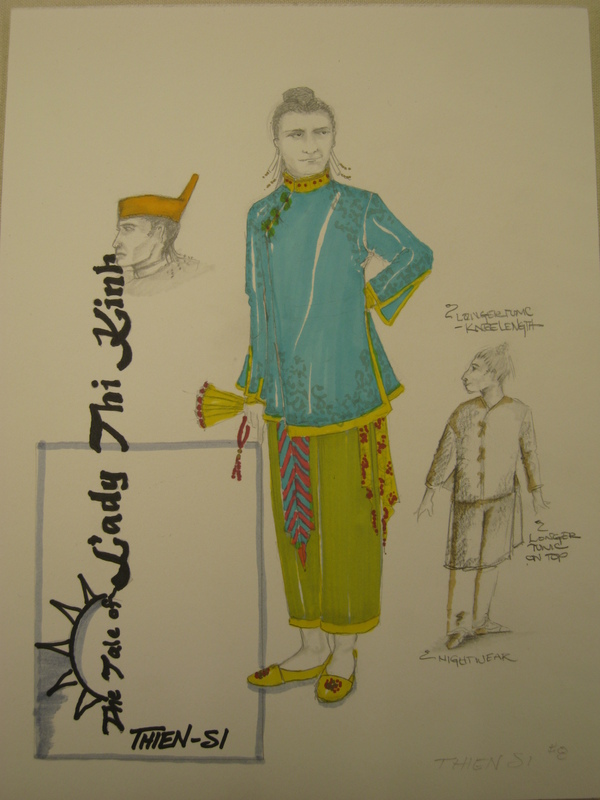 As you see the pictures, keep in mind that the goal of the artists is not to duplicate costume and fabric of Vietnamese people of the 10th century, as stage director Vince Liotta cautioned us, but to create the Vietnamese feeling. 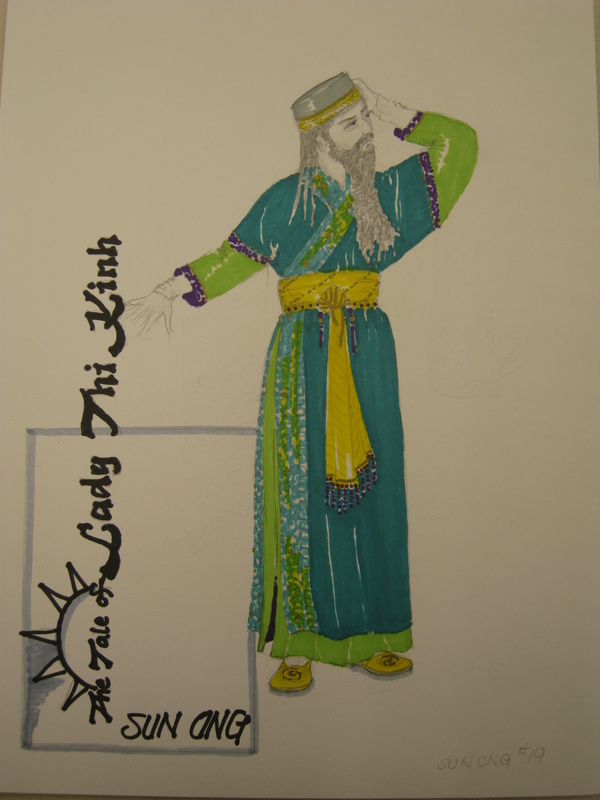 Following are sketches of some characters and chorus members. 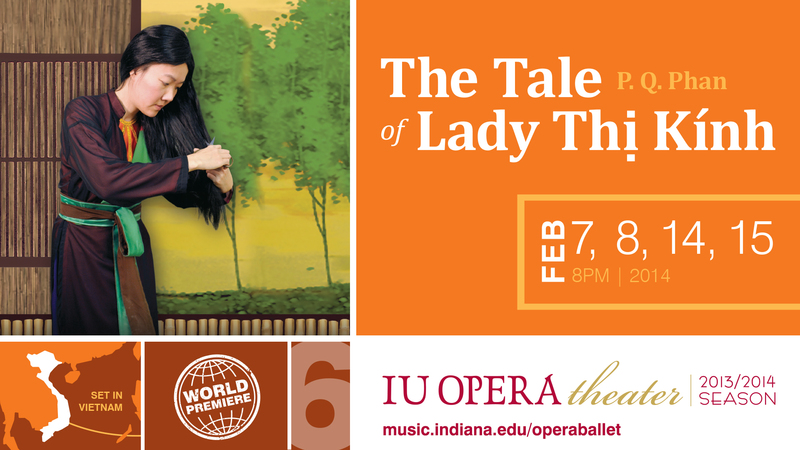 The sketches are used with permission from IU Opera. 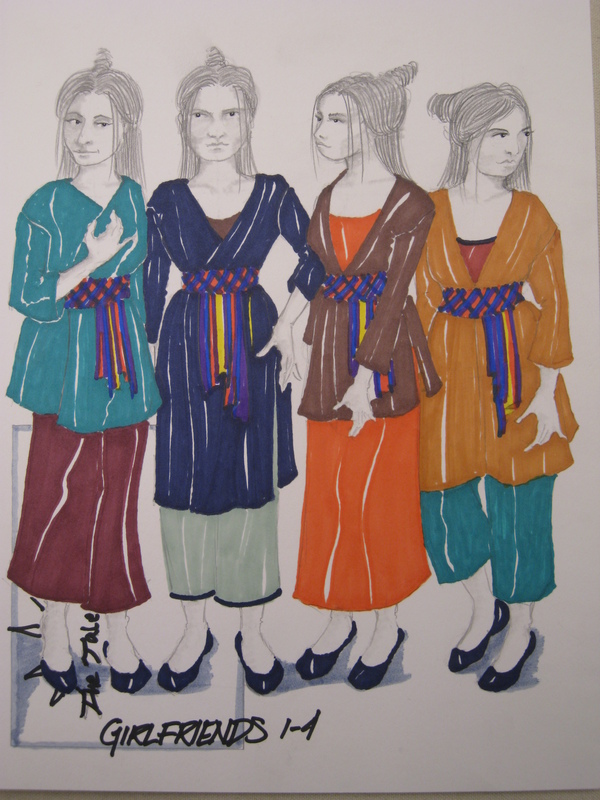 Do you think the costumes are very colorful and diverse in style? I read it as an interpretation of the universalism aspect of the story, a modern and interesting one. 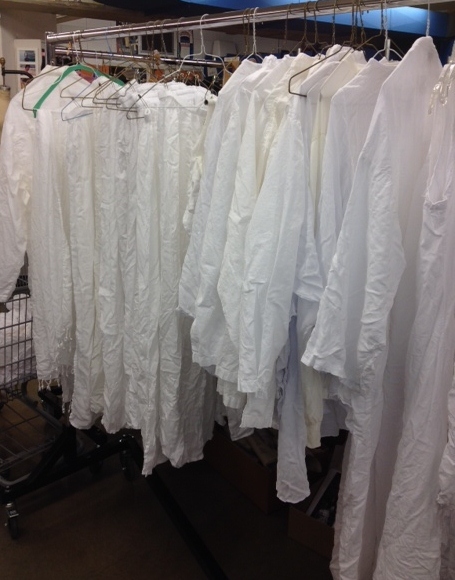 Updated: As of today, Monday, January 20, 2014, the white costumes for the chorus have been dyed. The mock-ups are finished and fitting has begun. 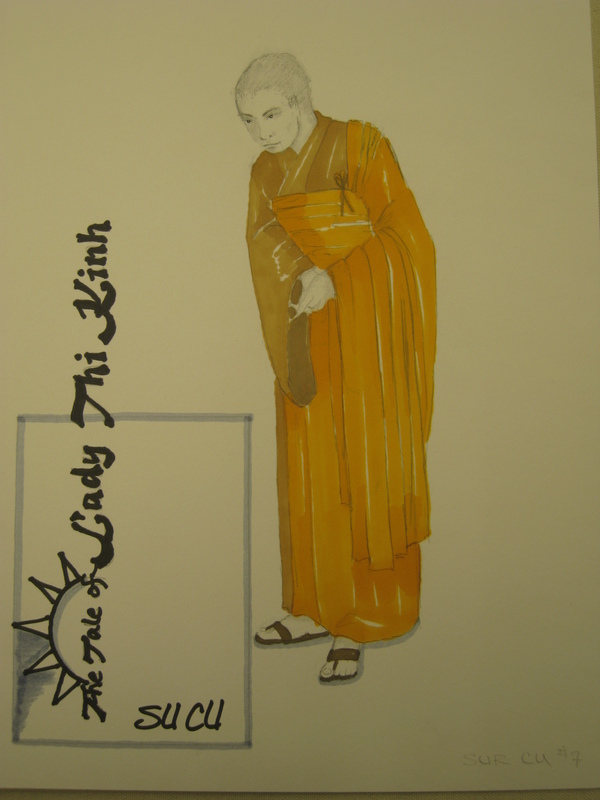 In the picture is Swallow Leach, Cutter-Drafter-Draper, and her mock-up. 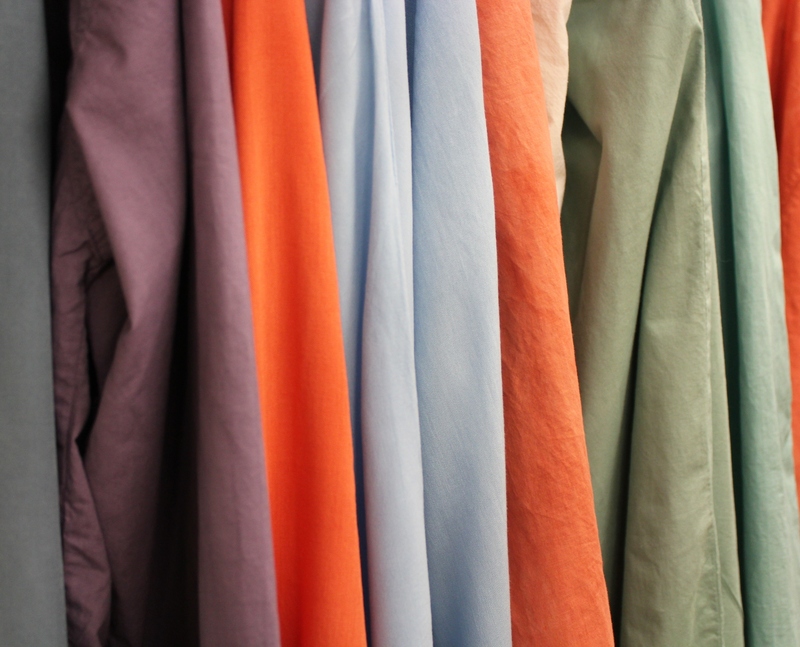 Here is the first look at the colors of the costumes. Are you ready? Photo courtesy of Soraya Noorzad. 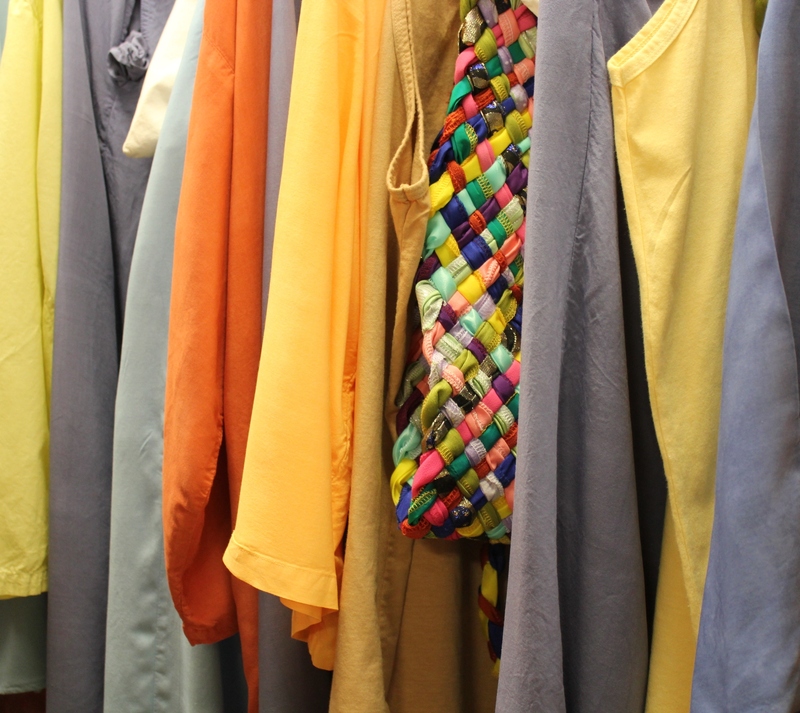 Costumes after the dye: In the picture, Noriko Zulkowski, Stitcher, is hanging the newly-dyed costume (left), and all the colorful costumes on the rack (right). And more colors. How many are there, can you count? 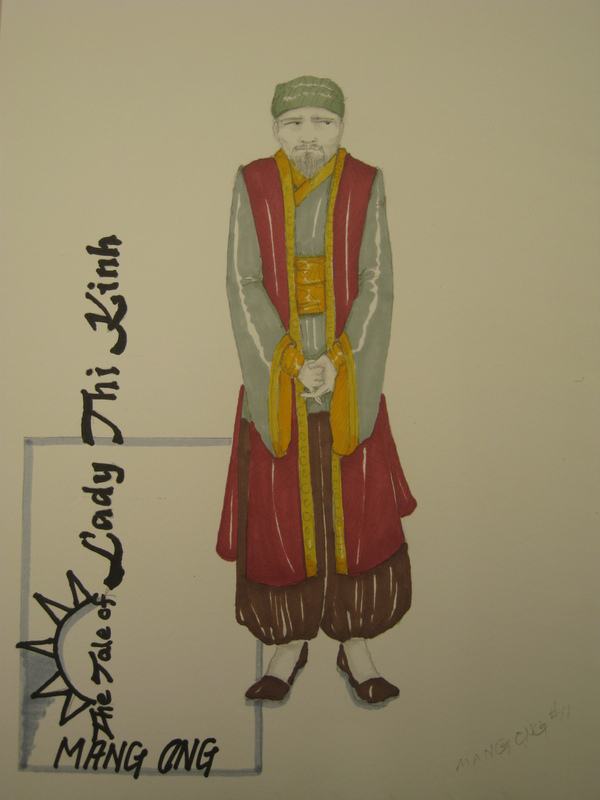 For sketches and finished costumes of Thị Kính, Thị Mầu, and Vợ Mõ, look for them in the coming articles.